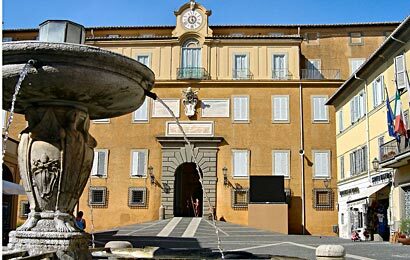 Durin summer months the Pope moves his office to renaissance residence located 30 miles from Rome in Romen Hills in Castel Gandolfo. The Papal villa located on the edge of extint volcano overlooking the lake is the site of public audiences. The countryside, considered one of the most beautiful outside Rome with viniards and hill towns offeres a great rest from busi Rome.